Chocolate Chip Ona Cookie, the best cookies since…ever! The Chocolate Chip Ona Cookie is soft, chewy, sweet, and salty just like raw cookie dough. A flavorful blend of almond flour, coconut flour, shredded coconut, coconut oil, honey, maca powder and cocoa nibs sweetened with coconut sugar make this the perfect choice for your chocolate chip cookie cravings. Chocolate Chip Ona Cookies are full of healthy fats and clean ingredients and are sure to satisfy your appetite and sweet tooth. Sweetened with honey, filled with organic coconut oil and nutrient dense almond flour, Ona Cookies eliminate the spike and crash effect commonly associated with refined sugars and fruit sweetened bars. Thanks to WB Kitchen you do not have to miss out on chocolate chip cookies any more. These are the best tasting chocolate chip cookies since…ever! Chocolate Chip Ona Cookies are always Paleo Friendly, Gluten-Free, Grain-Free, Dairy-Free, Soy-Free, and contain No Refined Sugars. 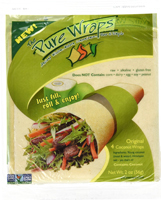 Great for snacks, dessert, outdoor activities, or even as a meal replacement. Ona Cookies are a very healthy alternative to an energy, snack, or candy bar!